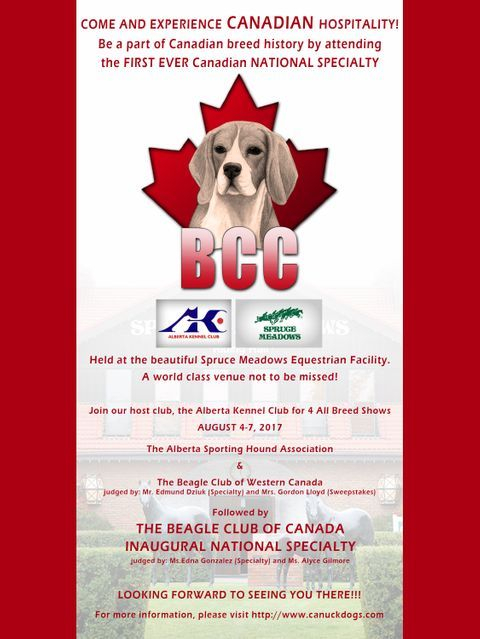 The Beagle Club of Canada was founded in 2013, when members determined it was time to unite Beagle Fanciers across the country with a National Breed Parent Club. The club became a CKC recognized club in December 2014 thanks to the hard work and determination of its members. Please bear with us, as our Website is a "work in progress"
In order to "Toot our own horn" the home page photo will be changed on a monthly basis! Where possible, the beagles pictured on this website are bred and/or owned by members of the Club!